A wall calendar is the gift that keeps delivering... day after day, month after month. Help your prospects to organise their schedules with an eye-catching calendar hanging prominently on the wall. 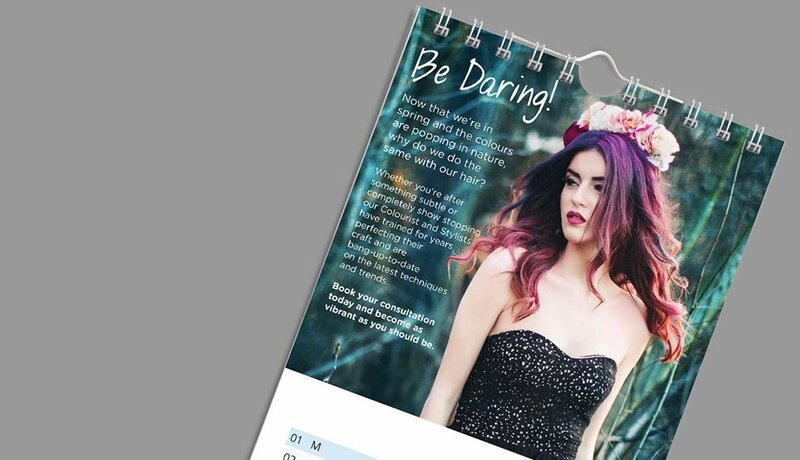 Portrait or landscape, stapled or wire-bound, StressFreePrint offers a choice of high quality wall calendars, custom printed with your unique design. 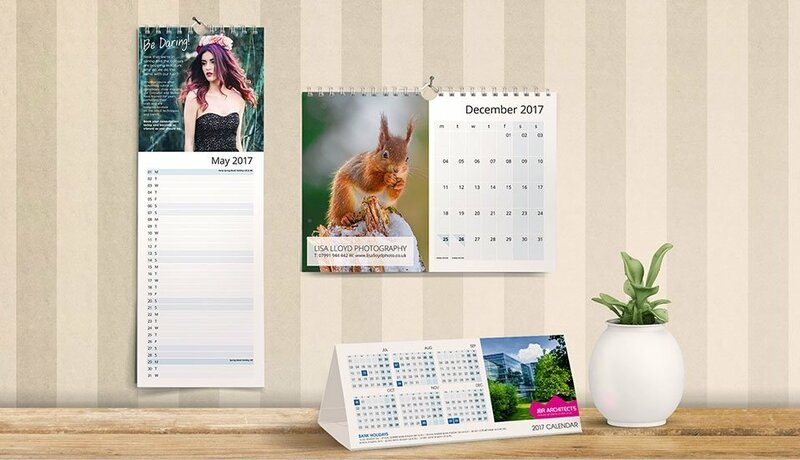 Wall calendars are a useful, practical and highly effective promotional gift. They're the perfect way to get your brand in front of your target audience all year round. We also produce calendars for retail sale. 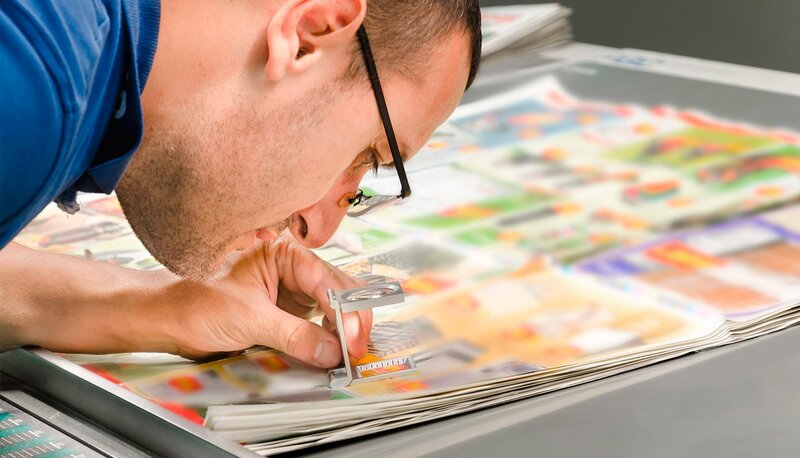 Each of the 13 printed pages (12 month-by-month pages plus a front cover) features a large image area, making them a popular choice for photographers and illustrators. Each year, charities, schools and voluntary organisations rely on the sale of wall calendars to raise extra funds. We have a commitment to quality that makes us proud. Just ask the 5,000+ customers who have given us a 5 star Feefo review. Actually, asking them all might take a while, but you can read their comments here. We're confident you’ll love what we do, but if not, there’s no need to worry. Our 100% StressFree Guarantee means we’ll reprint or refund your order if you’re not totally satisfied. No fuss, no faff. Working from the text and images you supply, one of our talented designers can create professional, print-ready artwork on your behalf. Our fixed price service costs from just £37. Alternatively, you can upload your own artwork files. 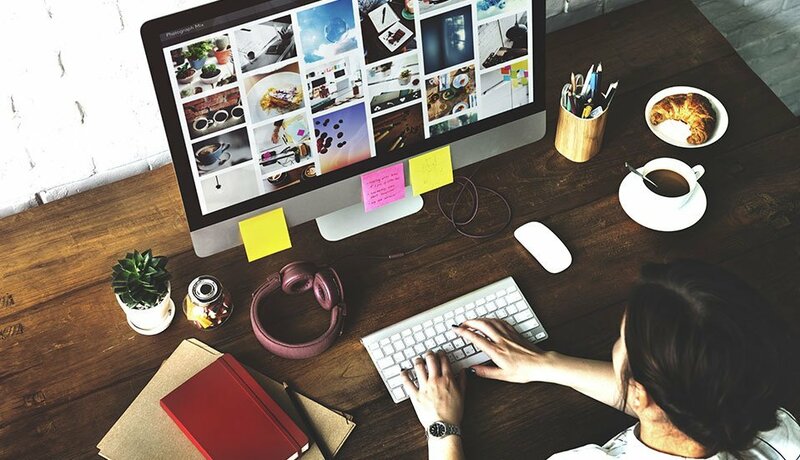 We accept most popular Mac and PC file formats.